When batshit crazy meets Top Gun references and a Secret Weapon Mach II switch! 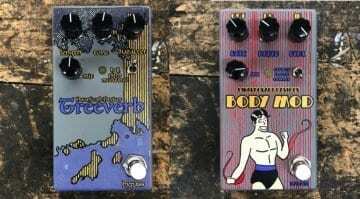 Option Knob is known for making their pedal control topping WingMan knobs, that make pedals easier to tweak with your foot. 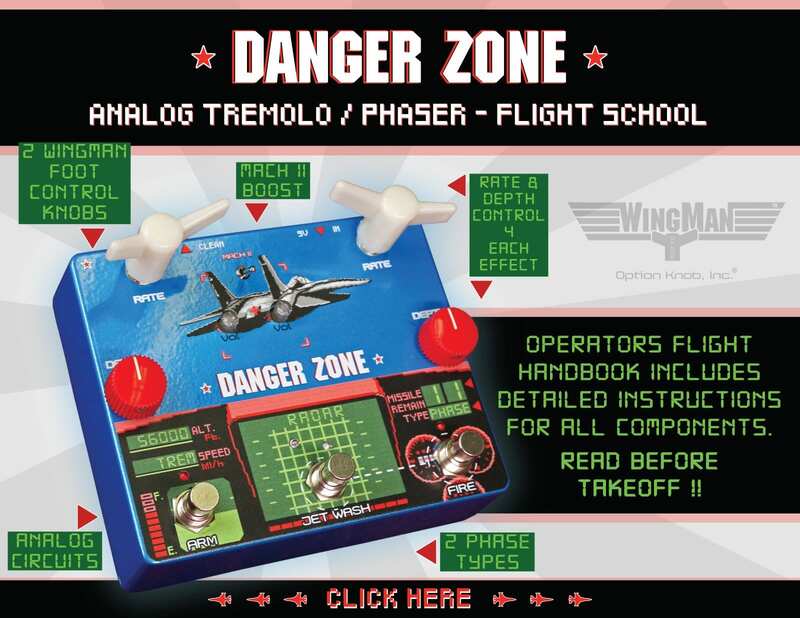 Now they have just announced the Danger Zone and it makes use of this custom controller. 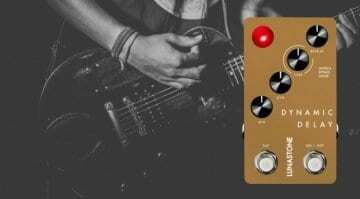 The new Option Knob Danger Zone pedal is a Phaser/Tremolo effect that is packed into a very ‘Top Gun’ inspired enclosure. 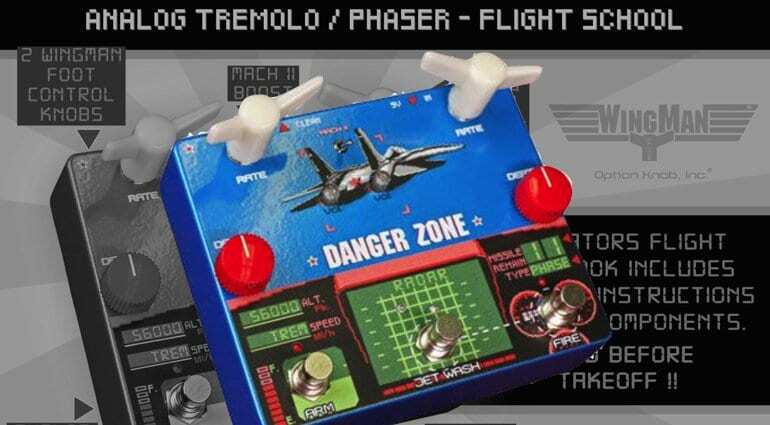 The Danger Zone uses the company’s WingMan foot-controllers (I just hope they don’t do a Goose) to tweak the Rate control knobs for each of the Tremolo and Phaser effects. 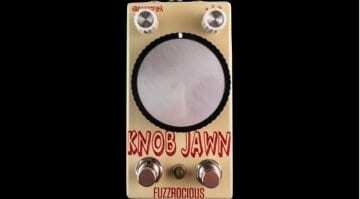 With Depth being controlled for each effect by large red round knobs on the side, you should be able to tweak these with your toes too. Option Knob Danger Zone with WingMan control! So, there are supposedly two analogue phaser options and a Secret Weapon Mach II switch hidden near the top. 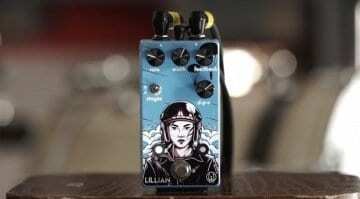 The pedal has individual volume light indicators located on the plane’s jet engines, which will pulse to let you know the speed of each effect. If you haven’t seen the WingMan foot controllers in action check out the official company video below and see what it is all about.